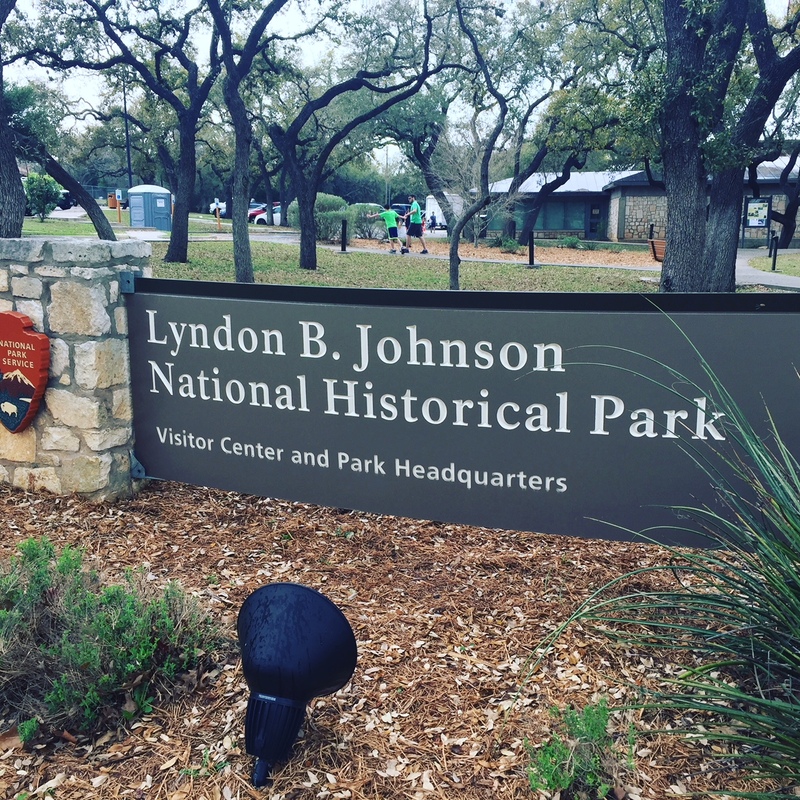 Lyndon B. Johnson National Historic Park has two sites: One is several blocks in Johnson City that include a visitor center/museum and historic buildings; and the LBJ Ranch 11 miles outside of town. 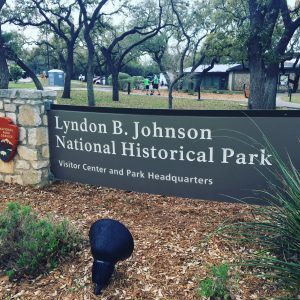 Both are worth a visit, and I want to especially note how awesome the park rangers and park volunteers were when we visited: first, a ranger in the Johnson City Visitor Center went out of his way to be helpful to us. Over at the ranch, we had a tour from an enthusiastic, knowledgeable volunteer that made the experience really come alive. LBJ’s boyhood home is a small white house in the middle of Johnsonville City. 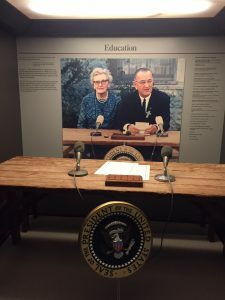 You can tour this home to learn about the years that formed President Johnson and his worldview. This part of the park includes the original Johnson homestead, a small museum, several historic barns and an event center. For the ranch, you need to pick up a free parking pass from the visitor center at the ranch. Once there, walking and driving the grounds are free. There is a $3 fee to tour the house. Tours of the house are limited to 12 people at a time. So make sure you get on a specific time list when you arrive. Also, note there’s no photography allowed inside the house. The trip out to the ranch is worth it even without the house tour- the (still working) ranch is beautiful and has loads of animals and cattle to look at, and signposts explain the significance of the sights. There is also “Air Force 1/2” that shuttled him between the ranch and Austin.Once you finish the house tour, walk around front to get pictures of the house and pool area. On the way out, stop off to view his car collection which is on display indoors. There’s a gift shop, restrooms, museums exhibit and movie available as well. 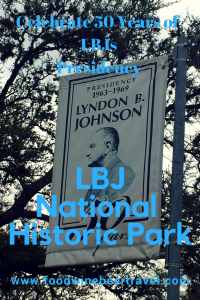 The LBJ National Historic Park is run by the NPS and is completely separate from the LBJ Library in Austin which is maintained by the National Archives. Overall, it was a very interesting experience, this may be the best one of the presidential sites I have visited. This is different from visiting the libraries, this park gives you a look at life away from the Oval Office. I would highly recommend.